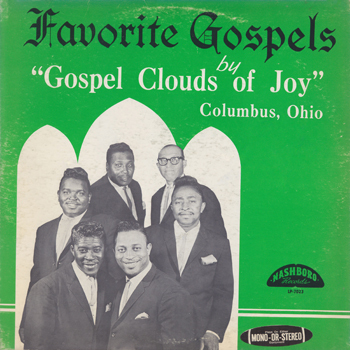 Today I added scans for Nashboro LP 7023 by the Gospel Clouds of Joy. The Gospel Clouds were a male group that came under contract of Nashboro after their initial release for the Rush label (#2705). They stayed with Nashboro probably until 1966 and after a gap of several years they recorded again in the 1970’s for the Big J label. A final album was released on the HSE label in c. 1981. 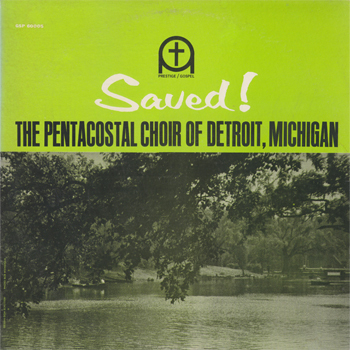 Today, I’ve added images for Tru-Sound LP 60005 by the Pentacostal Choir of Detroit, Michigan. The choir director was Columbus Mann, who recorded an album with this choir for Tamla in 1961. It’s another Ozzie Cadena production. The cover only mentions Prestige with the number given as GSP-60005, but the labels show the Tru-Sound logo with number TRU-60005. There could be a second version of this album with Prestige labels. Other scans added recently: Bounty 5594, Regent 216 and 226, Revelation 112, Rush 609, Savoy 4227, Sharp 625 and Sullivan 300.